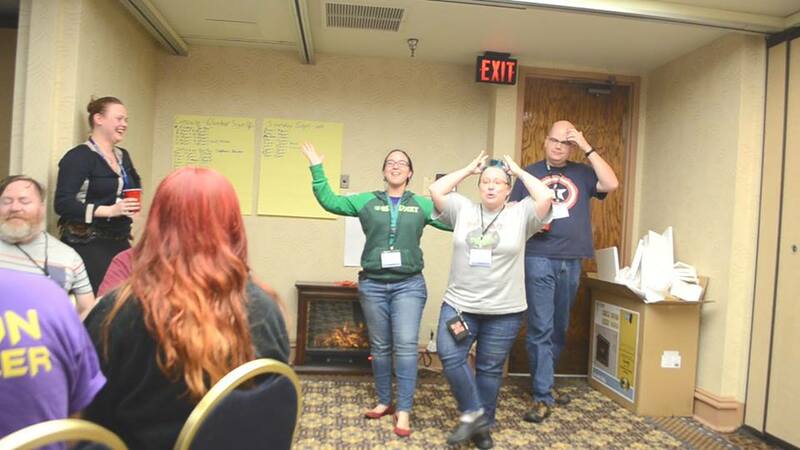 The Journeymen of Fandom Convention, otherwise known as JOFCon, is an asset to anyone interested in convention running. With panels on everything from accessibility at your convention to queueing and crowd control, JOFCon speakers cover a wide range of responsibilities that come with the territory. 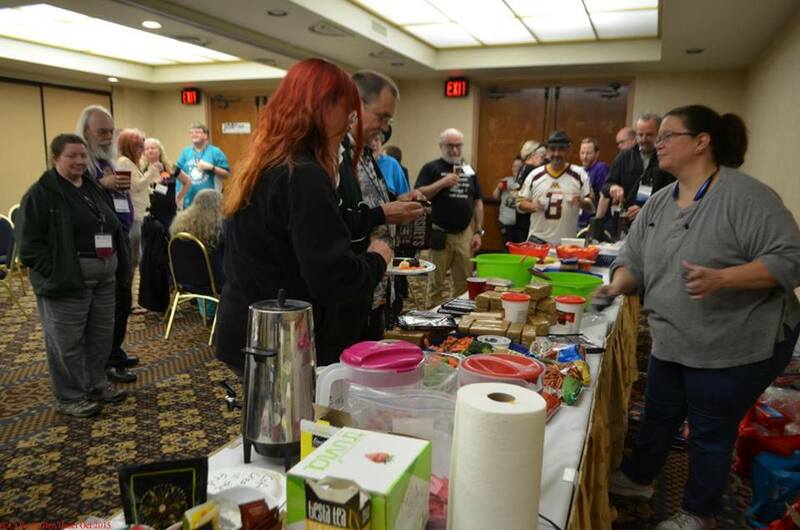 The 2015 convention was held last weekend over the course of three days, October 9 through 11, and approximately 60 people attended. The con started and ended with some great community builders, and community was a theme throughout the weekend, including at mealtime—anyone eating at the convention ate together as a community. Food was plentiful, and company was pleasant. The spirit of the convention was that JOF was neither secret nor master and that everyone in the con-running community has something to both teach and learn from one another. 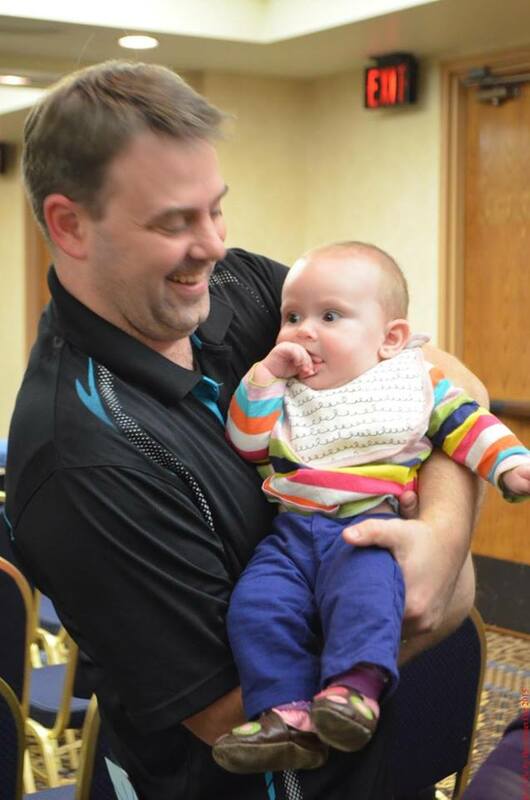 As someone who is new to con running, I was excited and eager to see what folks had to say about their experiences. The spirit of learning from one another rang true throughout this convention. The dining area known as con suite, a staple at most conventions, where everyone chilled and mingled over food and drinks here. I was fortunate to be a part of the “Disability Access” panel, which was actually more about accessibility in general rather than disability access in particular. I and my fellow panelists, Amanda Tempel and Rachel Kronick, started with brief self-introductions before jumping into the discussion by talking about some pitfalls and how they’ve been addressed in various conventions. One of the problems we talked about was the lack of gender-neutral bathrooms at CONvergence. Amanda mentioned how it had been a problem and a point of discussion for years, and how member engagement really pushed the initiative to create bathrooms that were accessible to those outside of the gender binary. The solution she spoke of was convention runners working with their venues to relabel or re-allocate resources, in this case to relabel the gendered bathrooms of a hotel to make them gender neutral for the duration of the convention. Another issue tackled was the vetting of panelists. Audience members of this panel brought up the lack of diversity on panels that were covering topics of diversity—for example, no people of color on a panel about race in sci fi, or no folks with autism on a panel about spectrum disorders within geek media. Audience members and panels brainstormed various ways to address this, including vetting panelists by asking why they are interested in being on a particular panel and assessing their answers for issues that could arise. Another panel, “The Rise of Professional Cons,” sought to answer the question “Are professional cons something to aspire to, and how do fan run conventions compare to them?” Panelist included Stephanie Zuercher, Rachel Kronick, and Matt Straight, plus Matt Waterhouse as moderator. At the start of this session, panelists and audience members had a lively discussion on what the word professional means to us as geeks and as convention runners. It is frankly a loaded term with a lot of baggage for anyone who’s ever been in the workforce and can mean anything from simply responding to emails in a timely and respectful manner to creating a highly bureaucratic chain of command (which many in the audience viewed as a more negative thing) and stifling individuality within convention running. There was some discussion as to whether a convention’s size had an effect on whether or not it needed to become a “professional” con, or to adopt aspects of professional cons such as hiring legal counsel, having more extensive departments and policies, and so on. One of the best things about JOFCon was how incredibly welcoming it was to newbies. Being, as I mentioned, a nebwbie myself to convention running myself—and somewhat new to conventions in general—going to an unfamiliar convention can be a bit intimidating. I don’t have a ton of connections in the con-running community, and sometimes that means feeling like the new kid on the block. That, however, was not an issue at JOFCon. This event did a great job of making everyone feel welcomed and valued with things such as a community meal room (a.k.a. con suite) and a “Getting to Know You” panel, which was a dedicated mixer event. They even ended the convention with a group nature walk. Some of the other panels at the con included Code of “Conduct Violations: Pros and Guests of Honor,” “How to Corporately/Organizationally Apologize: Mistakes Were Made,” and many others, all having to do with how a convention can best serve its members while working within its means and respecting the boundaries of its volunteers. There were more than a few panels on the ethical managing of conventions and how to handle poor management and ethical dilemmas from higher-ups. The resonating theme here was, more or less, ethical convention running. In a few panels, folks shared horror stories of interpersonal problems and poor management of volunteers, major snafus at conventions, and public apology failures from convention committees. While it was clear that there was a lot of emotion involved in these stories, they all were clearly coming from a place of “What can we learn from this, and how can we make this better next time?” That question ecompasses the entire spirit of JOFCon. While JOFCon in Minneapolis is still growing its roots—this was only its second year—I can definitely say I will be following its progress, because there is no better way to learn than from sharing our experiences with each other. You can connect with the Journeymen (and Journeywomen, Journeypersons, Journeybots, Journeyfolk, Journeyfen, Journeyworkers, and Journeyplatypi) of Fandom on Facebook and on Twitter. When they aren’t working or writing, Bri enjoys trying new brews (they’re a bit of a beer snob), coffee, teatime, cooking, and exploring all over with their dog friend Gracie. Adventure Time and Futurama are Bri’s favorites, and as far as books go, they are not to be trusted with a library card. The Gaming Goat Is Coming to Eagan! You may also enjoy Smofcon, a similar event which moves around. The next one is in Texas. It is usually the first weekend in December. See Smofcon.com for info.